Barebones British post-punk duo Prinzhorn Dance School emerged with a self-titled debut for DFA Records in 2007, but since then they've laid relatively low. That will change next month, as the group have announced a new record for the beloved dance imprint. 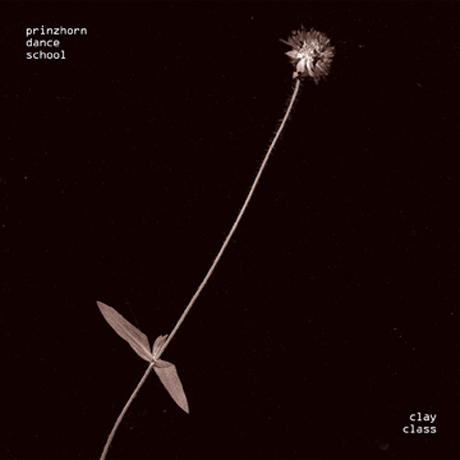 The album is called Clay Class, and drummer Tobin Prinz explained in a press release that it is about the band member's current displacement. "Even though our band lives in two different places at once -- Brighton and Portsmouth -- a sense of belonging doesn't really happen in either," he said in a statement. "I think that's a wider issue which probably affects millions of people in this country, and the empty spaces Suzi [Horn, bassist] and I are interested in -- fields, lakes, warehouses, the sea, huge, people-less car-parks, or even the gaps in our music itself -- simultaneously amplify that feeling, and give you the room to ask questions about it." Sounds like some heady themes, but hopefully they'll become a little clearer when Clay Class drops on January 31. A music video for album opener "Happy in Bits" is available below. 5. "Your Fire Has Gone Out"
7. "The Flora and Fauna of Britain in Bloom"
8. "Turn Up the Lights"
10. "Right Night Kay West"